15 "Batman Arkham" Domains Registered by Warner Bros.; New Game Soon? It looks like Warner Bros. has started off the new year by snatching up 15 different domains with Batman and Arkham in mind. The publishers put out Rocksteady's Batman: Arkham Asylum and Batman: Arkham City to a slew of critical acclaim and commercial success. Could this action be the first wave of what's coming next? The domains were registered by MarkMonitor, a company specifically created to protect brands by doing things like registering domain names. MarkMonitor is employed by Time Warner (it says so right here! ), and Time Warner is the parent company of Warner Bros. Among the names registered were Batman: Arkham Universe and Batman: Arkham Knight. Reading them gives me nerd goosebumps, and that comes from a love of comics, the caped crusader and the first two Batman: Arkham efforts. Of course, domain squatting does not definitely translate to property creation. Warner Bros. could be grabbing up these Arkham domains simply so that they can use them if the chance to ever even comes up. Rocksteady might not be working on a new Batman game at all. Then again… it's always nice to hope these studios and publishers are hard at work on the next entry in one of this generation's best franchises. 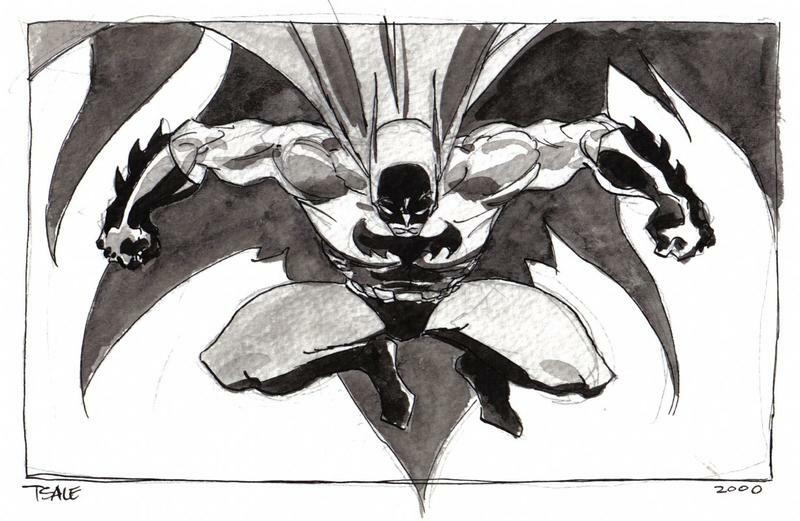 In case you're curious, that's Tim Sale's take on Batman running at the head of this post. Do yourselves a favor and read The Long Halloween or Dark Victory by Sale and Jeph Loeb.